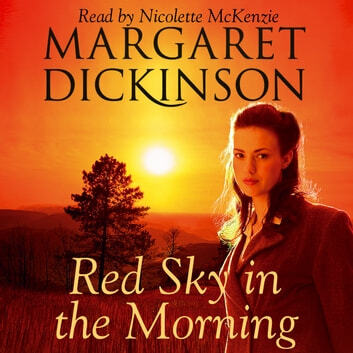 Red Sky in the Morning is an unputdownable historical story from Margaret Dickinson, richly evocative of the Lincolnshire landscape. A young girl stands alone in the cobbled market place of a small Lincolnshire town, bedraggled, soaked through and very afraid. Who is she? Where has she come from and from whom is she running away? No one knows or cares. Only kindly farmer, Eddie Appleyard, recognizes something in the girl that touches his heart. In a drunken haze and scarcely realizing what he is doing, Eddie takes her home even though his wife is a tyrant, who will believe the worst. 'Is this your fancy piece?' Bertha accuses and turns Anna out into the cold, wet night. 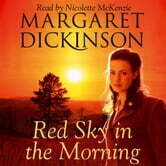 Eddie hides the girl in the hayloft and, later, in a tumbledown shepherd's cottage that becomes her new home. Anna's arrival will change their lives; Eddie's, Bertha's and even that of their young son, Tony, torn between his warring parents and the mysterious stranger. It will take years for the secrets of Anna's former life to be revealed, but Bertha bides her time and awaits her moment, little realizing the tragedy her vengeance will unleash.